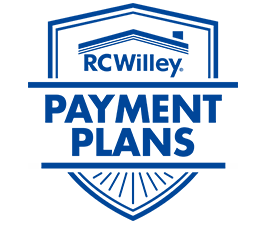 RC Willey, your local fitness store, now carries the incredibly powerful yet compact SMART Performance 400i ProForm Treadmill. This treadmill for sale features revolutionary new treadmill controls paired with a beautiful 7 inch HD touchscreen. 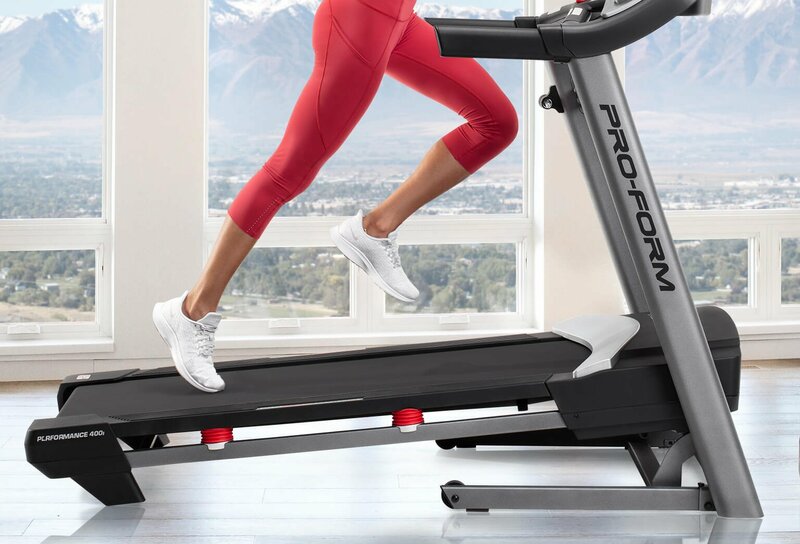 Burn calories in a whole new smart way with the iFit Coach compatibility that is literally built into this smart treadmill. Witness beautiful views, receive powerful motivation, and get that body ready for summer with the SMART Performance 400i ProForm Treadmill. Whether your trainer is pushing you too hard or you get the urge to sprint, you have complete control over your workout with just the touch of a button. Quickly change your speed or incline without breaking your stride or concentration. Give your legs plenty of room to get moving. The 50 inch length is long enough to let you stretch out your stride, and the 18 inch width provides you with loads of comfortable elbow room. To ensure our treadmills are top quality, we test each belt for one million cycles at double the user weight before release. When you work out with ProForm's trainers, you’ll be taken up hills and through valleys at all sorts of speeds. 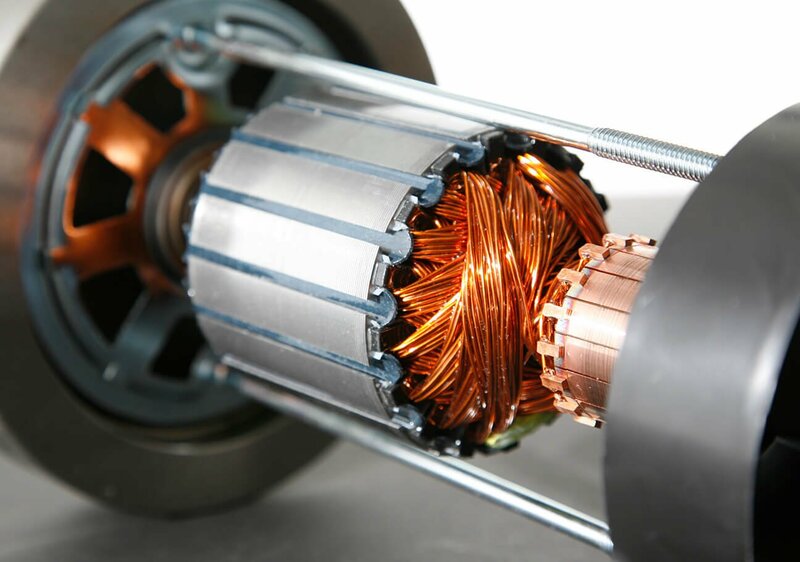 The motor on the SMART Performance 400i sports a heavy 2.0 continuous horsepower drive system that’s guaranteed for 25 years not to fail you no matter how often your incline or speed changes. Stay captivated and motivated as you follow along with your favorite trainers guiding your workout through beautiful scenery around the world. With a 7 inch touchscreen, It’s also easy to swipe through and view your workout stats. Engage in a whole new fitness experience as certified personal trainers take your exercise all around the world. With iFit Coach, you’ll be led through an expansive collection of GlobeTrek workouts and an ever-growing library of limit-pushing LiveCast workout classes, getting you moving and sweating on and off your machine. Connect your tablet to this iFit Coach Ready treadmill via Bluetooth and start working out with your own personal trainer that will automatically adjust the incline on your equipment, matching the terrain wherever you go. Subscription required. Have you ever wondered what it's like to run in Barcelona? Just press start. Download a Google Maps route or create your own. 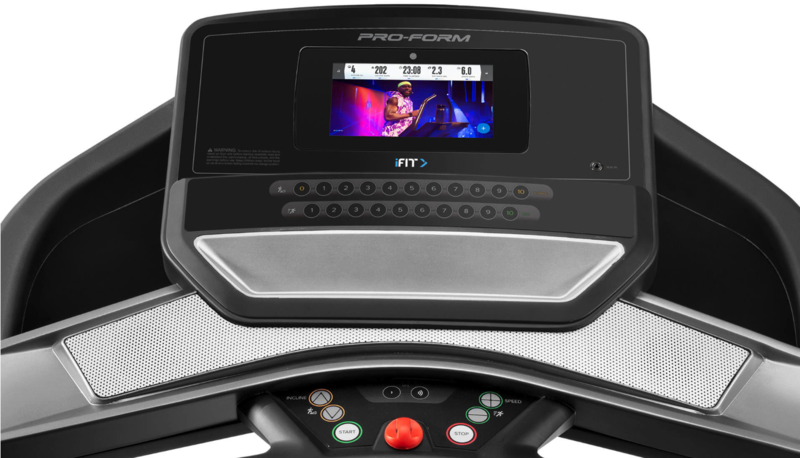 This iFit Enabled treadmill automatically adjusts the incline to recreate trails from Mongolia to Ecuador. Customize your training with unlimited workouts designed by certified personal trainers. This ever-growing workout library offers programs that progress with you from beginner to marathoner. 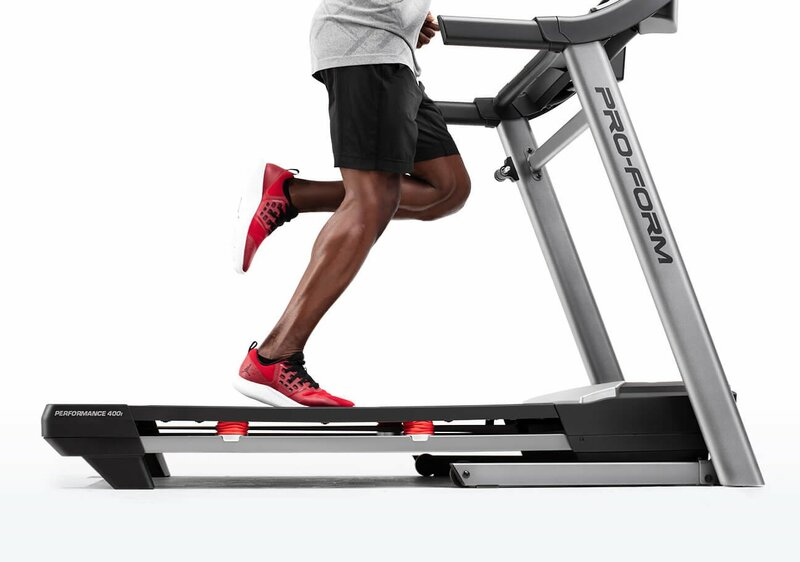 ProForm Treadmill - SMART Performance 400i is rated 4.0 out of 5 by 1. Rated 4 out of 5 by justabeginner Good treadmill This is the first treadmill I have owned. Seems good. I am still learning how to use the advanced features. It is almost too advanced for a middle aged beginner. Still, I would recommend this treadmill.